This is very confusing. Where are you from, really? I know, there are lots of countries in the mix. I was born in Moscow and both my parents are Russian. I moved to Stockholm when I was seven years old. At nineteen, I spent a semester studying (and partying) in Los Angeles. 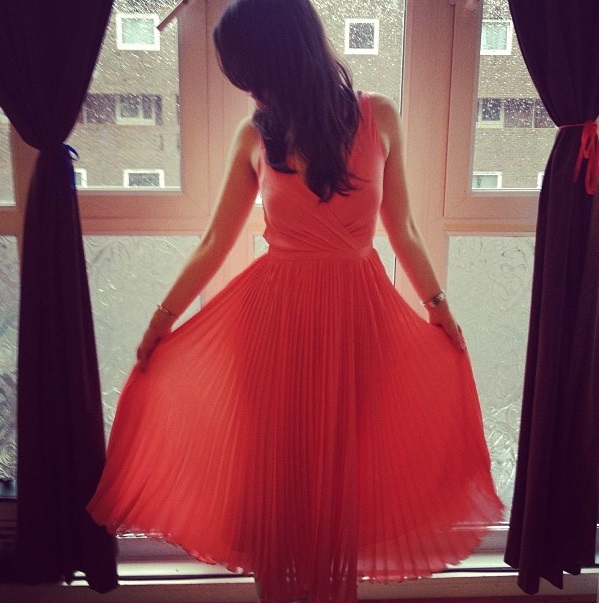 When I was 21 I moved to Italy and in 2012 I came to London. I identify mostly as Swedish and Russian, but will also always be a little bit Italian! Why are you vegan? Meat is so delicious! Honestly, I don't remember if meat is delicious at all - I stopped eating it when I was eleven. And with time, going vegan made sense - the egg and dairy industries are incredibly cruel. Food-wise, I am vegan for three reasons: number one is for the animals, number two is for our planet (meat is a huge cause of environmental damage and we could be on our way to resolving many of the world's hunger issues if more people were vegan) and thirdly for my own health. To me, vegan also means not wearing any animal products - no fur, leather, silk, down or wool. 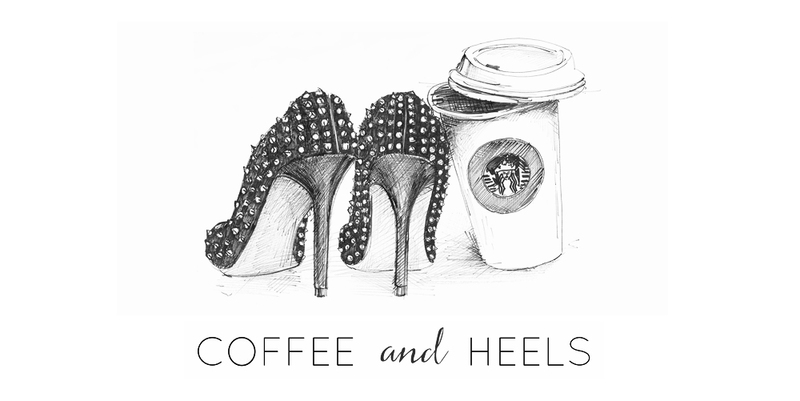 Why is the blog called Coffee and Heels? I don't really get "vegan" from that. Well, I wanted to name it something that represents both me and women in general - and what's more part of our every day lives than our cappuccino and our stilettos, am I right? When you go vegan, it's the little things that change - your latte has to come with soy milk and your heels are now faux leather. So that's the story behind the name. Your header is awesome, where did you get it? I'm lucky enough to be married to an artist - my husband drew the shoes and coffee cup in my header! To commission David for drawing/painting work (he can do pretty much anything), email him at david.camilli@hotmail.com. I want to go vegan, any tips? GO FOR IT! Do your research and find out how to get all the nutrients. And don't beat yourself up if you slip up - it happens. My personal advice would be to not go cold turkey. Take it step by step - a gradual change is easier and smoother. 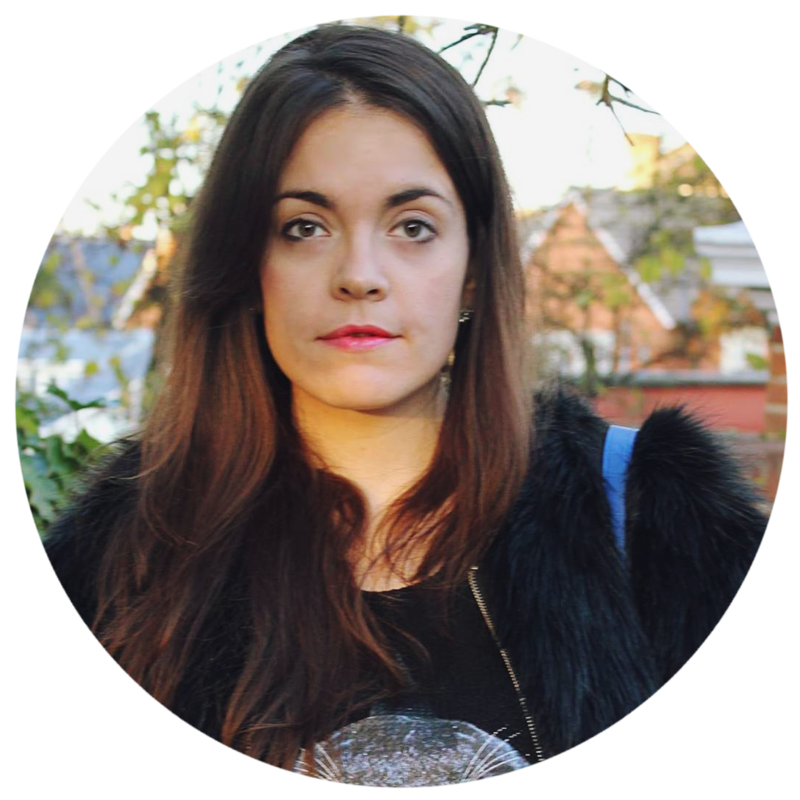 Why do you blog about low-cost fashion so much? There are so many ethical issues with it. When I blog about vegan fashion tips, I most often blog about smaller vegan brands. When I talk about what I personally wear, sometimes it has to be fast fashion because of personal finance! That said, I'm aware of the issues that come with shopping fast fashion and will always strive to choose more ethical brands whenever I can. If you like my blog, then by all means follow it! I'll follow yours back if I fall in love with it. But only because we truly like each other's blogs - not just for the sake of having tons of followers. I don't really care for that. How did you get a job in fashion? I studied Fashion Marketing and Merchandising at the Polimoda Fashion Institute of Florence (this is a private school that costs a lot of money, but because I am a Swedish citizen, I took a student loan to do the three-year degree), interned with Swedish designers Pimpinette and Patouf and with Cosmopolitan Sweden, then wrote for free for a lots of magazines. When I moved to Milan, I got a job as Web Editor with YOOX Group, which I later left to go freelance and move to London. I currently work as a fashion copywriter. I want to be a freelance writer. How do I do it? I might not be the right person to ask, since I have no formal journalist training, but I did a post on it, read it here. I think it's important to have great ideas and be a bit pushy - don't be afraid to email the publications you want to write for and just introduce yourself and your ideas. Make sure that your ideas fit the magazine and sell them really well! Don't you ever get homesick? David is a guitarist and a guitar maker - listen to his music here. Since June 2013, I use a Canon EOS 600D. What are your favourite vegan accessory brands? 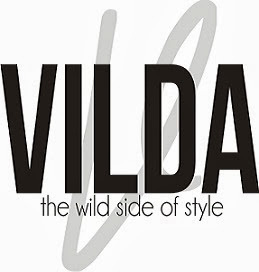 Stella McCartney, OlsenHaus, Beyond Skin, Jill Milan and Freedom of Animals. I want to move to London. Got any advice? I did a post on that too! Check it out here. Generally, my advice is, save up enough cash to afford looking for a decent place to live, jobhunt like crazy and don't believe those who say it's too expensive - it CAN be done. And...do it! London is amazing. What were your other blogs before Coffee and Heels? I had a blog on Italian Style.it that is now closed. I also blogged professionally on Cosmopolitan Sweden's website (also closed, since the magazine shut down) and on Sascha's Daily Drama. Why are you in love with Jared Leto? You are ugly, fat, stupid and a hypocrite. Not a question, my friend. But stop flirting, I'm married. You are fantastic, amazing and inspirational. Still not a question, but you sound like a cool person, want to hang out sometime?